The Aluminium Chair by the designers couple Charles & Ray Eames belongs to the most important furniture designs of the 20th century! 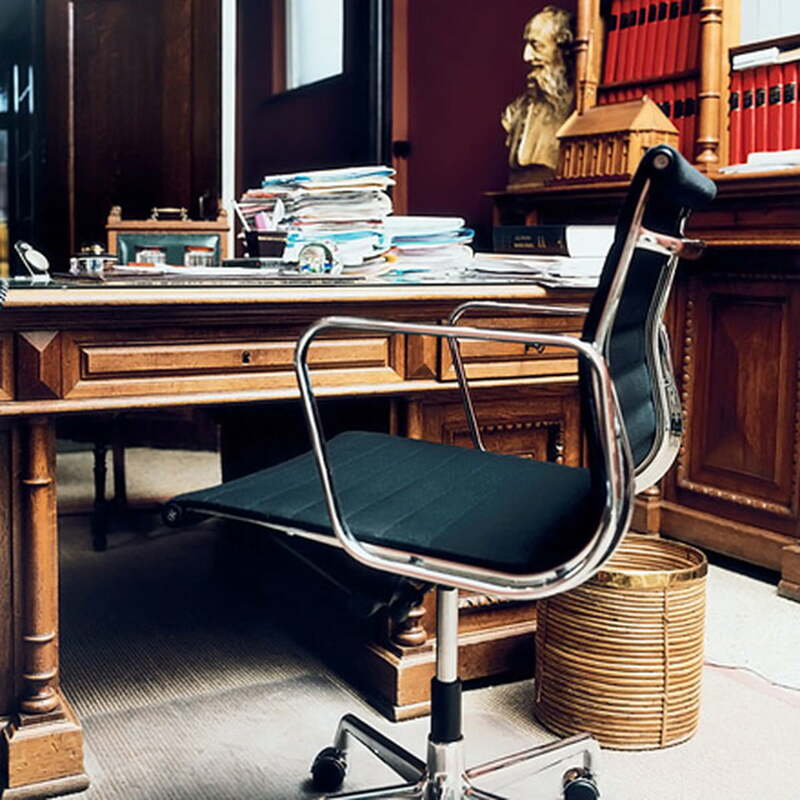 The iconic design of the aluminium chair spreads its modern elegance in rooms all over the world for 50 years already. The chairs are equally popular with leading personalities from politics, art, economy as well as from the entertainment sector. 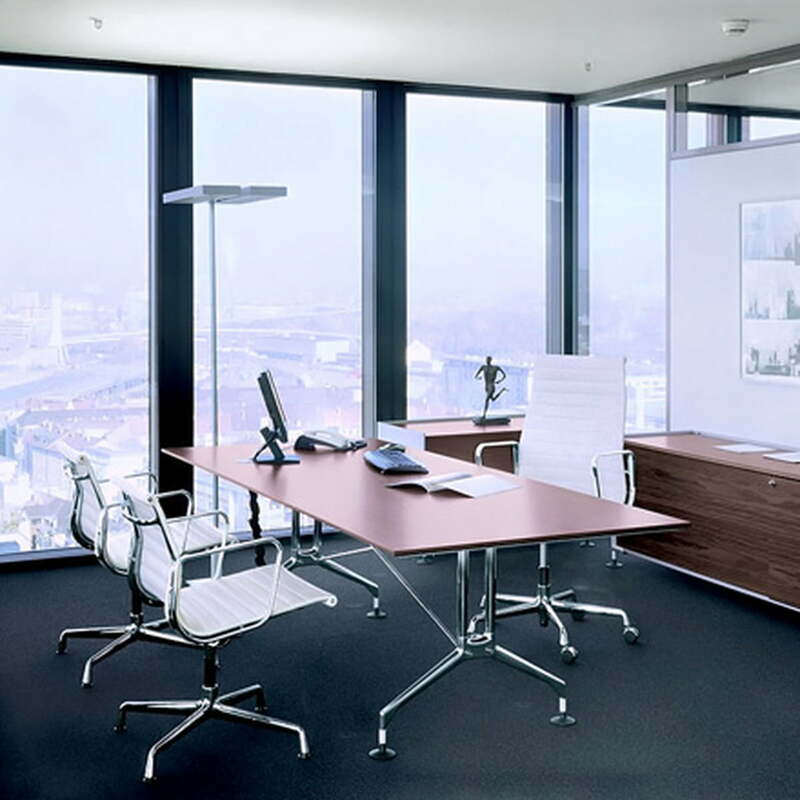 A main characteristic of the aluminium chair is the intelligent connection of the materials. The coating is fixed and tensed in the lateral aluminium profiles. With it, it is not a coating, but carries the whole construction. It even adapts to your body, offering the highest comfort, also without elaborate upholstery. 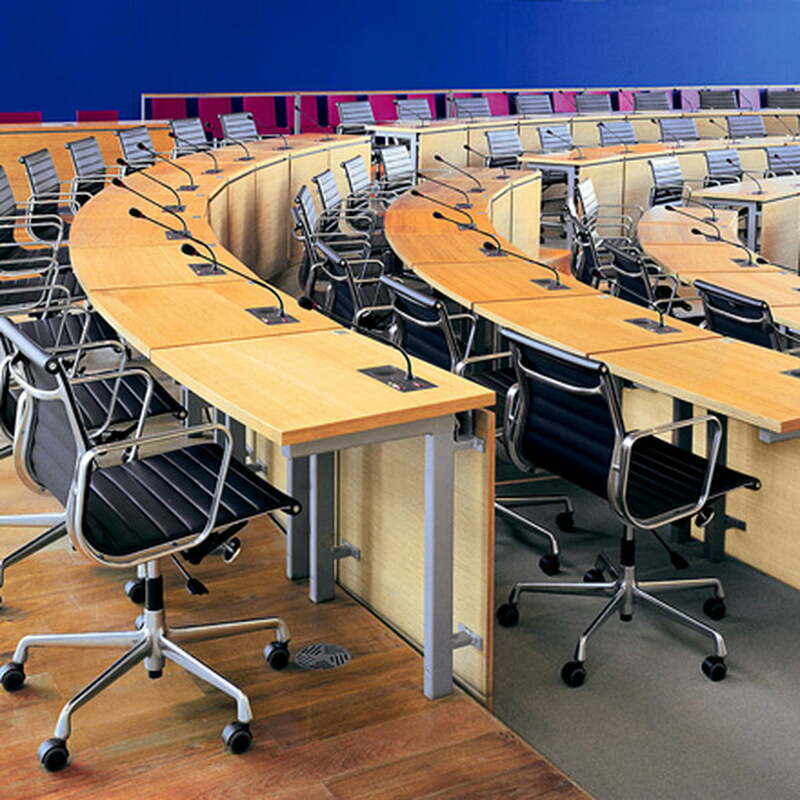 Contrasting other products of the aluminium group, the EA 117 and the EA 119 chairs possess castors at the base. 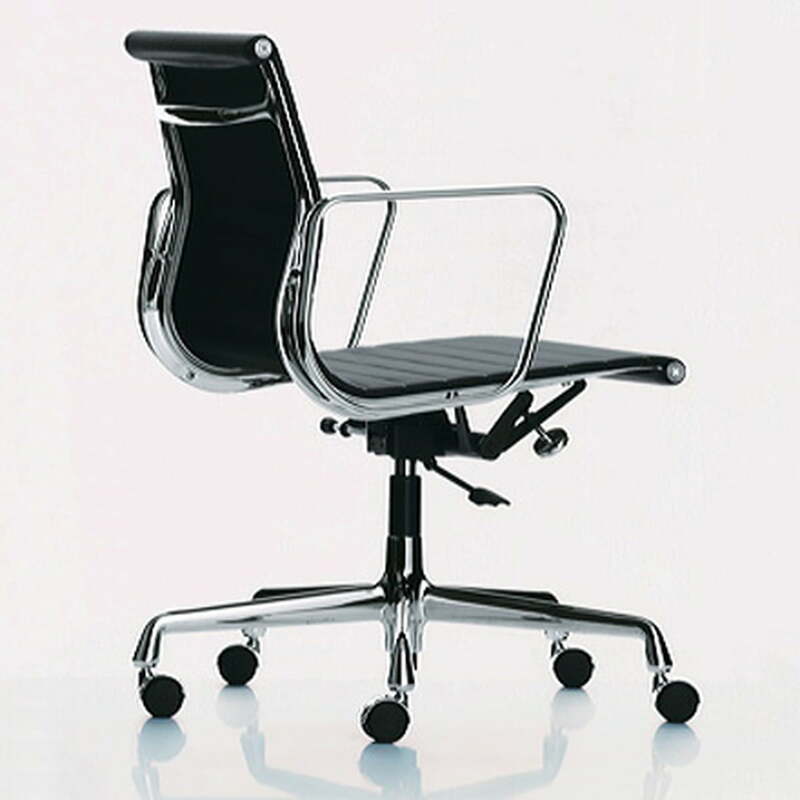 Vitra produces the aluminium chair program in unchanged quality for decades. 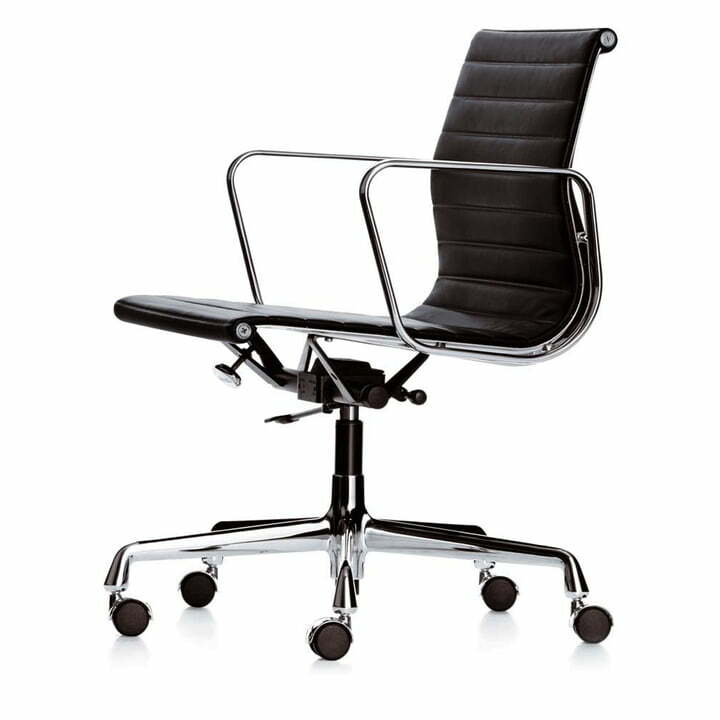 The EA 117 Aluminium Chair is also available in further colours and with a polished frame.